This Lone Ranger is a very inventive re-telling of the classic story of the western era crime fighter. This version is a comic satirical romp. Johnny Depp is brilliant with perfect comic timing as Tonto. You barely recognize him. Tonto/Depp carefully and discretely guides the plot from beginning to end. The humour is obvious yet far from slapstick. Funny, entertaining and intelligently written with twists that hold your attention throughout. A broke universally student goes to Costa Rica to out an online gambling tycoon for cheating him. The title should be Mediocre Mediocre, because that’s the theme of this movie in every way. Justin Timberlake compliments Ben Affeck’s acting skills almost perfectly, as they are both mediocre actors at the best of time. Timberlake might outshine Affleck just slightly, but it’s hardly a compliment. To say the writing is mediocre would be a stretch, and the plot is thin and completely predictable. Overall movie quality is below average, and scenes of back-water Costa Rica are often highlights of the cinematography. It’s head shaking how Affleck coasts through this movie mumbling and barely moving in most scenes, his part could be played by anyone, and better by most any actor. He definitely brings this movie down a point or two. Computer scientist Alan Turing, born in 1912, was a man light years ahead of his time. He performed groundbreaking computer science work long before the concept even existed. An artificial intelligence test he developed remains relevant today. During World War II, his cryptanalysis work helped Allied convoys safely cross the Atlantic. Turing was also openly gay. In 1952, he was convicted for homosexuality and punished by being chemically castrated. Just two years later, he died after eating a cyanide-laced apple. An inquest ruled the death a suicide, but friends and family dispute the finding. Now, finally, after several petitions, appeals and even an apology from prime minister Gordon Brown in 2009, Turing has finally received a pardon. It was granted on December 24 under the Royal Prerogative of Mercy after a request by Justice Minister Chris Grayling. Turing was not the only gay man persecuted at the time. More than 50,000 other were convicted of “gross indecency,” for being homosexual. 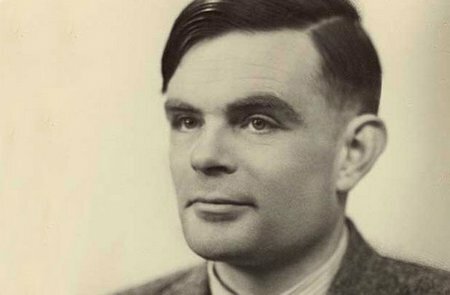 Advocates for Turing hope the pardon will be extended to others. In the meantime, Turing’s legacy in computing and beyond should not be overlooked. James Sumner, a lecturer in the history of technology at the University of Manchester, helped plan the Manchester Museum’s centenary Turing exhibition. “Alan Turing is somebody who, in recent years, has gone from being almost written out of the story of the computer’s origins to being given a very, very strong starring role,” Sumner said. Sumner highlights Turing’s contribution here. A snitch mob family in Protected Custody that has to move from town to town on a regular basis, due to their dysfunctional and violent tendencies. Robert De Niro and Michelle Pfeiffer play the strong willed parents in this dark comedy. The daughter is one of the stars in the TV series Glee. Entertaining, amusing, and fun to watch. The story takes place in France, but could be anywhere. The fact that the family is hiding out in a small French (and expectedly obnoxious) town, is an odd distraction that gives the movie a somewhat unique flare from the usual main stream film.